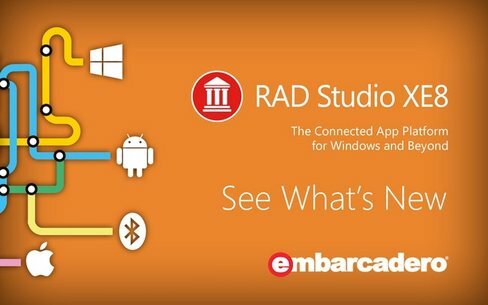 Embarcadero RAD Studio XE8 is the complete software development solution for rapidly building native applications for Windows, OS X, iOS and Android from a single codebase. Modernize existing Windows applications and create highly connected apps for gadgets and wearables. Deliver high performance, compiled native applications that easily connect with enterprise data, cloud services, devices, sensors, and gadgets.